This course is aimed at anyone who requires a course in diabetes awareness in any workplace or family setting. 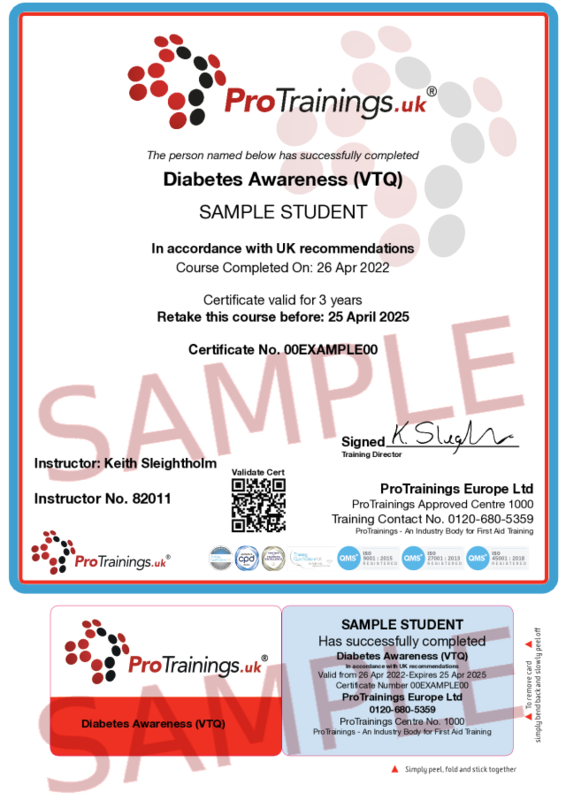 Diabetes is included in many of our online and classroom courses but this course goes into more depth for people working with or looking after diabetes sufferers. We have a 100% classroom course for this and the certificate is valid for three years to comply with recommendations. To renew complete the same course again.